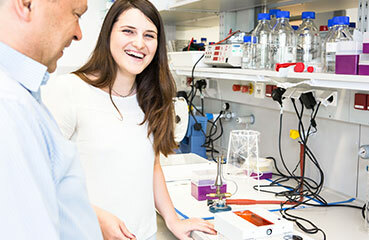 Students who are either pursuing or have obtained a bachelor’s or a master’s degree in the natural or computer sciences, mathematics or any related discipline are eligible to apply for a scientific intern position at IST Austria. A scientific intern can be appointed for a period of up to 1 year. Candidates are selected by the head of a research group (Professor or Assistant Professor) and the appointment is subject to the availability of sufficient funds for the salary of the scientific intern and a formal approval of the Academic Affairs division. Applications are accepted on a continuous basis, and those interested in an independent scientific intern position at IST Austria should contact the respective group leader directly. IST Austria offers scientific interns a minimum salary of EUR 1,030 gross per month. What do faculty members look for? while having transferable/related research experience or technical skills and know-how would be a big benefit. First, you identify which research group you’re most interested in working with. In order to find out about the range of research groups available, please browse this overview of research groups available. his/her assistant will be in touch with you regarding the next steps. It is also possible to do an ISTernship at IST Austria. See this page to find out more.